When it comes to buying a family home, the residential sales team at DNG Maxwell Heaslip & Leonard is quite often the first port of call for many who are in the market for quality and value. 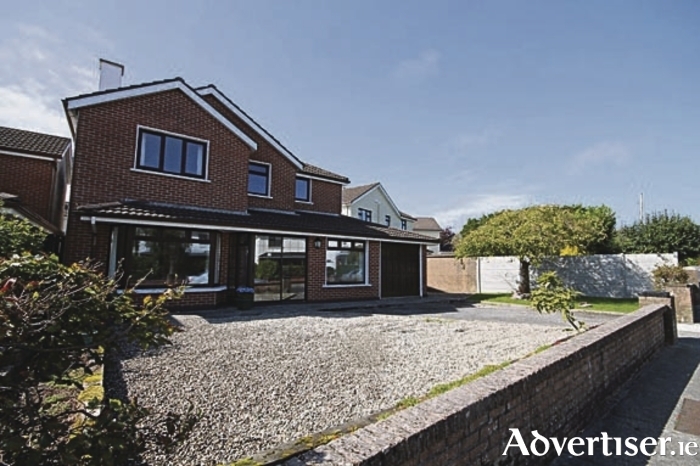 The Galway city based firm is long considered to be a leader in the second-hand family home market, and the team's latest offering is one that will certainly catch the eye of those who are on the hunt for a detached property in the Salthill/Knocknacarra area. No 10 Clybaun Heights is the latest offering to a vastly under supplied family home market on the western outskirts of the city. Located on the Clybaun Road, this wonderfully bright and spacious house is very well presented and in good condition. Comprising almost 1,900sq ft of living space, the house is being offered to the market with five well-proportioned bedrooms, two spacious living rooms, a kitchen/dining area, and an adjacent garage, which is suitable for conversion. The existing owners have combined a neutral colour scheme and a tasteful décor to ensure that this large house will appeal to all buyers. The house has a warm and welcoming feel to it, which is clearly evident the moment you walk through the door. The property is being sold with all modern conveniences. As well as oil fired central heating and double glazing, the house has extensive tiling throughout, with porcelain tiles in the hallway and kitchen. The bathrooms have been recently upgraded with tiled floors and walls, and all new sanitary ware. The west facing rear garden has been landscaped (to allow for minimal maintenance ) with a paved patio area to ensure that those rare sunny days are fully taken advantage of. To the front of the property there is a large off street parking area, with ample room for two cars. DNG Maxwell Heaslip & Leonard is offering No 10 Clybaun Heights to the market with and attractive AMV of €450,000. Full particulars are available on www.dnggalway.ie and viewings, which are strictly by appointment, can be arranged by contacting 091 565261.